The smart way to live, work and play today is at Austin 18. Conceived for the modern city dweller, this prime FREEHOLD address features 25 storeys of versatile suites in an unbeatable location. Austin 18 is quite simply the physical expression of individualism celebrated. This is where life is designed by you. With our building located in Austin Perdana, Johor Bahru (JB), Malaysia, Austin 18 is designed to understand how important it is for work, exercise and entertainment to complement each other. 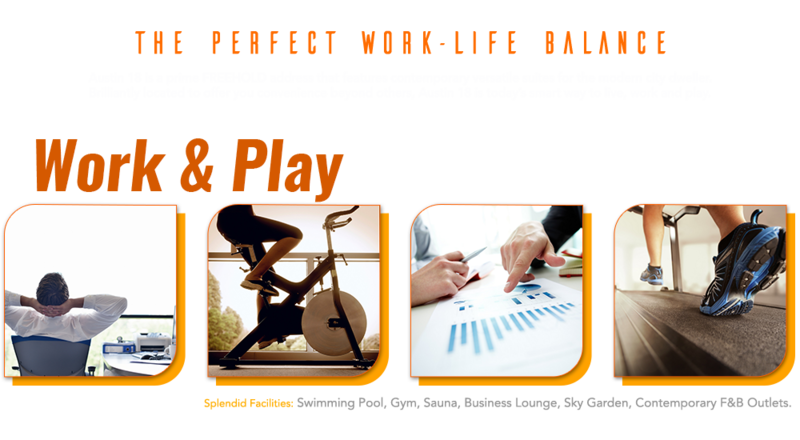 It truly offers the perfect work-life balance you have been looking for.